After 10 accurate predictions in the past, the latest one being Karnataka, Jan Ki Baat is back with its predictions for upcoming elections in Kairana. According to estimates made by Jan Ki Baat regarding Lok Sabha by-election, RLD is expected to emerge as winners in Kairana in BJP-ruled Uttar Pradesh. In Kairana all the oppositions seem to be uniting against BJP, which might not be good news for the BJP. Jan Ki Baat claims to conduct ground research on the basis of public opinion, ground reporting, and ‘fact analysis’. Their recent assertions of Karnataka elections had hit the bull’s eye. Mayawati, hailing from a humble Jatav background has always got the support of the backward classes. Bhim Army impact on youth. The limited level of insecurities thriving within them. 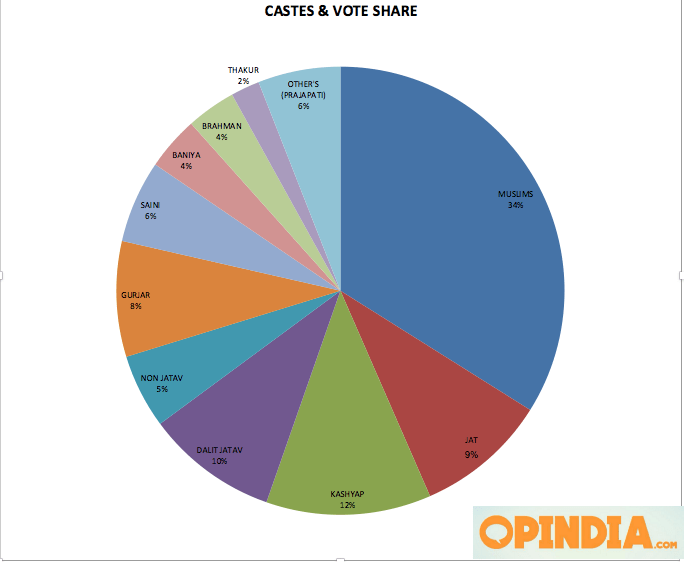 Core voters of BJP – Saini, Brahman, Baniya, Kashyap – have not voted in large numbers. Voting was delayed after the dysfunction of EVM, and this discouraged the core supporters to come back and vote in the sultry weather compared to Muslim voters. Another important reason for less than expected BJP votes might be the discontent among the people as the vidhva (widow) pension and vriddha (elderly) pension has been stopped. While improvement in law and order and women security is accepted by people across caste and religion, the issue of sugarcane farmers not receiving payment on time could hurt the ruling BJP. 2019 in Uttar Pradesh will be how the other castes consolidate with BJP. BJP needs to have a vote share of 50% to repeat its performance of 2014. The Jan Ki Baat estimates keep approximately 20-25 thousand buffer votes.